The Dark Knight, Lots of Pizza and the Anniversary Countdown Begins! Another week of summer, over and done with. Hard to believe that it’ll be August in less than 2 weeks! Which means…Drew and I have been married for almost one year! Two weeks from today marks our actual anniversary. We’re celebrating a bit early by taking a long weekend trip to Chicago-we fly out this Thursday night and I couldn’t be more excited. It’ll be nice to get away for a while and spend a weekend in the city that Drew lived in during most of our engagement. I haven’t been in almost a year and a half, so it will be nice to go from living in one big city to exploring another for a few days. We have a lot of our meals mapped out (surprised?) but other than that, we’re planning on taking the architecture boat tour and being spontaneous sight seers for the rest of the weekend. 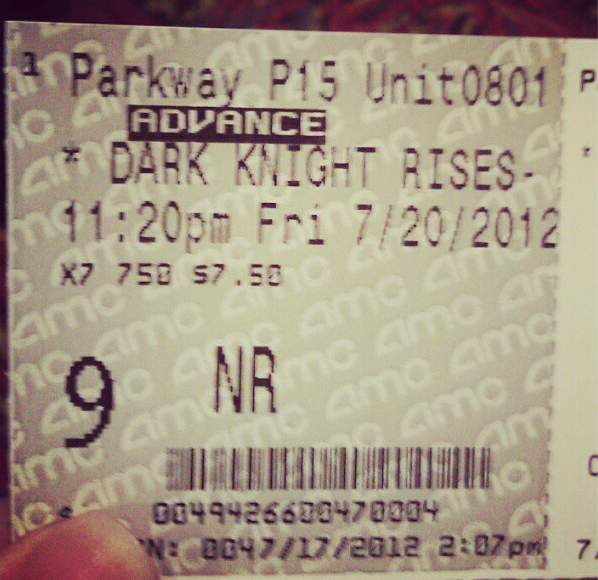 Ticket to see The Dark Knight Rises! This past weekend was a lot of fun. Instead of spending our usual casual Friday night in, we headed to our friends’ house for a marathon viewing of the first two Batman movies, to prepare for our 11:20 showing of The Dark Knight Rises later that night. Each movie is almost 3 hours long so needless to say, it was a late night! We went on a pizza run halfway through (thanks April and Jim for the Pizza Hut gift card!) The movie was really good-not to give any spoilers away, but the second is still my favorite. We ended up leaving the theater a little after 2 A.M. One of the later nights Drew and I have had in a while. Nice to know that unlike last Saturday, we didn’t have anywhere to be and could enjoy sleeping in. After sleeping in until almost noon and eating breakfast, brunch, lunch, we embarked on a total overhaul of our closet. We’d been meaning to go through and give away all the old clothes we don’t wear anymore, and this was the perfect opportunity to do so. We ended up piling four huge trash bags full of clothes to drop off at Goodwill. Needless to say, our closet no longer looks like a tornado went through it. After dropping off the clothes and making a much-needed grocery store run, we headed home for a late afternoon nap. Apparently staying out so late the night before had really taken a toll on us. 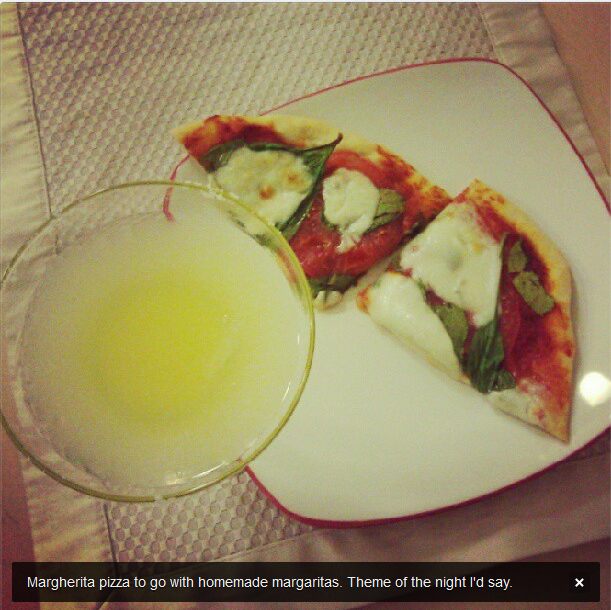 We decided to have date night in, and made margaritas and margherita pizza. I tried to recreate the from-scratch margaritas we had during our Cinco de Derby party, but they just weren’t tasting right. We used our go-to mixer for Round 2 which turned out much better. I’m not giving up on mine just yet though! Our pizza was good as always. Margaritas and margherita pizza…a match made in heaven. 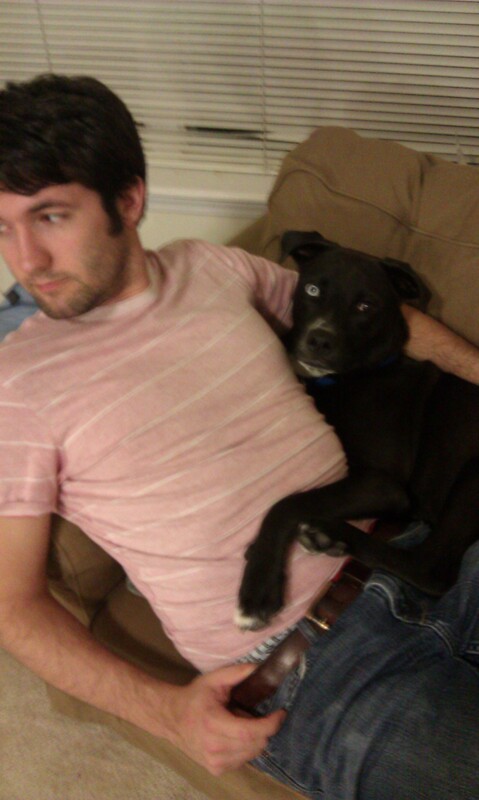 Theo and Drew kicking it on the couch after a long day. It was just too hot at the dog park for Theo. After church, we headed to a BBQ place for lunch with a big group of our friends. What, might you ask, does a vegetarian order at a BBQ joint? I figured I’d just order several sides but they actually had a smoked tofu sandwich, which I was pretty surprised to see. I kind of felt like a chump ordering it but carnivores, smirk all you want—my sandwich was delicious. I think Drew gave it the stink-eye for a few minutes before continuing to enjoy his pulled pork basket. Eh, to each their own. We tried to take Theo to the dog park for some exercise afterward, but the sun was way too much for him. We ended up leaving after only a short while. Apparently it was too hot for all the other dogs too, the park was practically empty. We decided a nap in the AC was a better choice. After an uneventful evening and a spaghetti dinner (yes, that’s right, I ate spaghetti for the first time in years. I guess I’m getting better about my aversion to certain food textures), we decided to call it night. Apparently we still needed to catch up on our beauty rest after being out late a couple nights before. We’re definitely going to need our sleep with all the fun things we have planned for our weekend in Chicago! 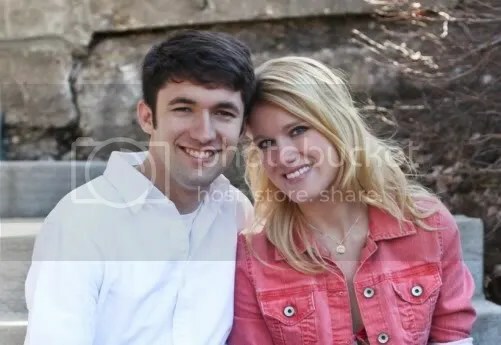 Just found your blog 🙂 you and your hubby are super cute! Wow! What a weekend you all had and I was amazed to hear that you ate spaghetti! Sounds like you all were on a cleaning tangent like us!! Yes, it is hard to believe you are nearing a year of married bliss but sounds like you have had a great first year. Enjoy Chicago and all the wonderful tastes of Chicago!! Eat a deep dish for us. I used to go to midnight showings all the time! It was a lot of fun but it always took a toll on me the next day too! Your blog is really neat 🙂 I like the idea of it! !